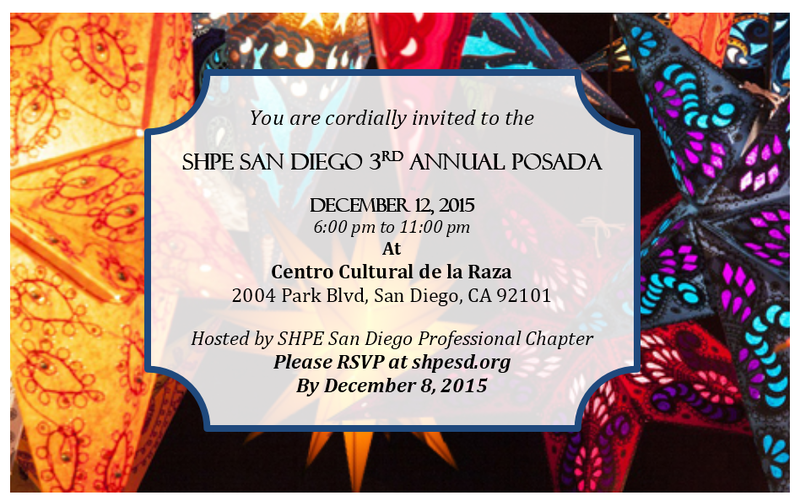 Come join the SHPE San Diego Professional Chapter and Student Chapters for our 3rd Annual Posada! Celebrate the holidays and enjoy food, drinks, desserts, music, and SHPE! SHPE San Diego will be proving the main dish. Don’t forget, as in previous years, we will have a toy drive! Please bring a new unwrapped toy to donate! New this year, there will be a silent auction. Bring some extra cash and get ready to bid on fabulous items. Centro Cultural de la Raza is located in Balboa Park, at 2004 Park Boulevard, San Diego, CA. 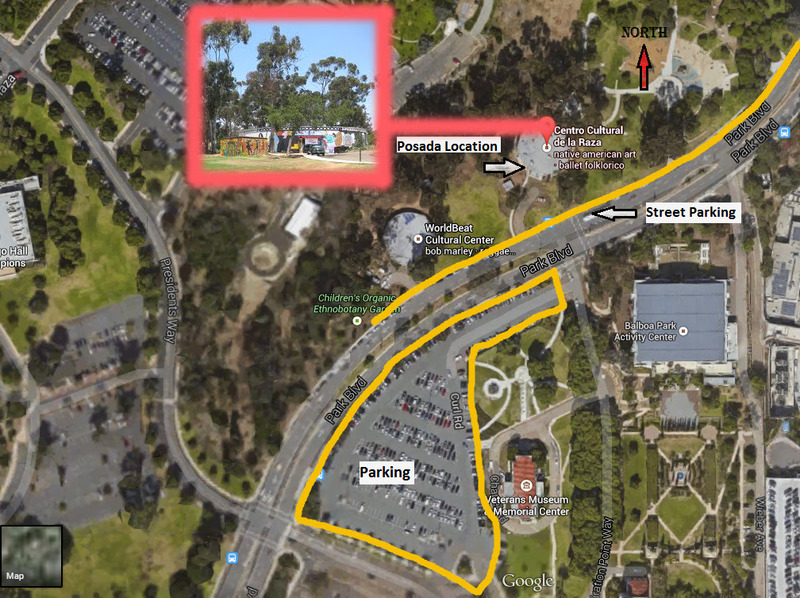 Parking is free, please use the following guide if you are unfamiliar with the area.